A Complete Protein Crunchy Cereal. The Original 100% Flourless, Sprouted Grain Cereal, All Natural, No Preservatives. Certified Organic Grains. I have tried a lot cereal claiming healthy, but this cereal is truly one of if not the healthiest. I find the flavor great! 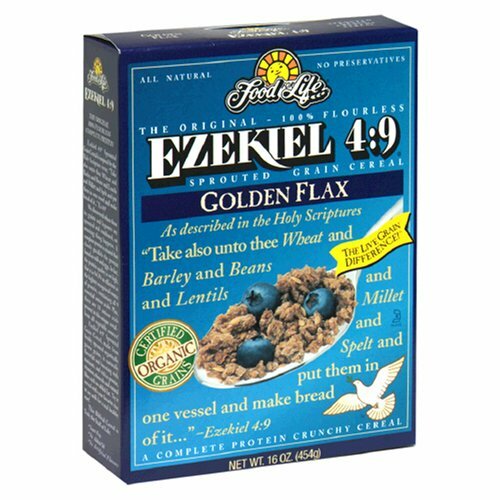 The process of creating the cereal is also unlike most that claim healthy. If you eat a lot of processed food and are unsure of what true healthy food taste like because you are use to eating crap you may slam this like the uneducated dog guy. Tastes dry and dense with milk, so I experimented and found that if you eat it in a bowl with some honey (however amount depending on your preference), it's delicious- the healthiest "granola" ever! !